TED (Technology, Entertainment, Design) is a global series of conferences run under the slogan “Ideas worth spreading”. TED Talks are a maximum of 18 minutes long and serve as cultural touchstones on a wide variety of topics. They are fascinating to study as church leaders because they are the closest thing we have to a “sermon” in modern culture, plus they give insight into how some of the world’s best thinkers and communicators …. think and communicate! 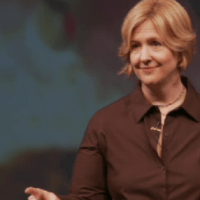 Description // Brené Brown studies human connections — our ability to empathize, belong, love. In this poignant, funny talk, she shares a deep insight from her research, one that sent her on a personal quest to know herself as well as to understand humanity. Why? // Pastoral care and insight starts with our ability to share and be vulnerable. Brené models this well for church leaders. What would happen if we all had this level of transparency? 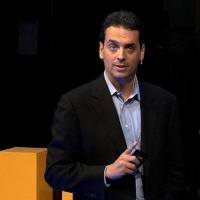 Description // Career analyst Dan Pink examines the puzzle of motivation, starting with a fact that social scientists know but most managers don’t: Traditional rewards aren’t always as effective as we think. Listen for illuminating stories — and, maybe, a new way forward. Why? // Church leaders are all about moving people from point A to point B. We are constantly thinking about how to get people to take action in their lives, families and faith. Dan provides some fascinating insights into what moves people to action. Description // Nilofer Merchant suggests a small idea that just might have a big impact on your life and health: Next time you have a one-on-one meeting, make it into a “walking meeting” — and let the ideas flow while you walk and talk. Why? // Most pastors live fairly sedentary lives. We sit in coffee shops and talk with people. We sit on the couch at home and respond to emails on our laptops. Maybe we need to rethink our activity level to keep us in the game down the road? Description // Entrepreneur Elon Musk is a man with many plans. 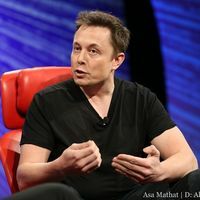 The founder of PayPal, Tesla Motors and SpaceX sits down with TED curator Chris Anderson to share details about his visionary projects, which include a mass-marketed electric car, a solar energy leasing company and a fully reusable rocket. Why? // Over the last 10 years Elon Musk has been busy creating the future. While Steve Jobs was lapping up praise for being the most creative leader alive, Elon was working on a space delivery system 100 times more efficient than anything ever seen, which moves us closer to going to Mars. Listen up … he’s an innovator. Where is the Elon Musk of the church world? 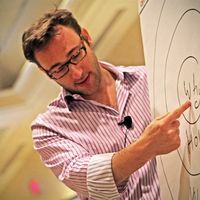 Description // Simon Sinek has a simple but powerful model for inspirational leadership, which starts with a golden circle and the question “Why?” His examples include Apple, Martin Luther King, Jr. and the Wright brothers. Why? // Start with “Why?” This talk is almost too popular to have on a list like this because I think everyone has heard it. But in case you haven’t invested the time to watch this piece … do it and see what you are missing. Great leaders motivate people by clearly explaining the why. 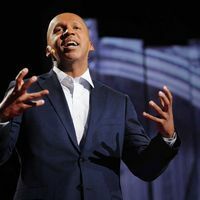 Description // In an engaging and personal talk — with cameo appearances from his grandmother and Rosa Parks — human rights lawyer Bryan Stevenson shares some hard truths about America’s justice system, starting with a massive imbalance along racial lines: A third of the country’s black male population has been incarcerated at some point in their lives. These issues, which are wrapped up in America’s unexamined history, are rarely talked about with this level of candor, insight and persuasiveness. Why? // Ferguson. Baltimore. Your town? Description // Why are so many things broken? 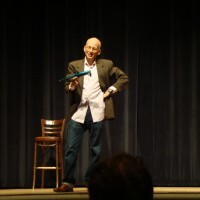 In a hilarious talk, Seth Godin describes some poor designs, the seven reasons why they are that way and how to fix them. Why? // Seth has given a number of great talks at TED over the years. In fact, he coined the term “Ideas worth spreading” that TED uses as its slogan. I love this talk because Seth seems a bit unhinged and talks in a disarmingly open way. He provides some interesting insights in how organizations should reorient around their customers rather than themselves. Bonus: The 4 a.m. Mystery. It’s fun, insightful and thoroughly TED. Just watch it. Sermon Content // Use the search feature on TED.com to find stories, illustrations and even video clips for your messages. (A search for “anger” turned up some interesting ideas!) TED has served as a great curation community to narrow down some spreadable ideas … you’re bound to find great ideas for your next talk. Leadership Training // Watch one of the videos above in your next leadership development environment. Then lead a simple conversation about what people heard and how it applies to their leadership at the church. Leverage these communicators to help drive application with your leaders. Social Media Content // Host a “TED Talk Tuesday” on your Facebook wall. Every Tuesday for a month, post a video that relates to a topic that your church is wrestling with. Ask people to watch the video and comment. Discussion Starter // So much of this content is thought provoking and leads to conversation. Email one of the talks to a group of people that you meet with regularly and ask them to come to your next meeting ready to talk about it. Use the talk to lead into a broader discussion.